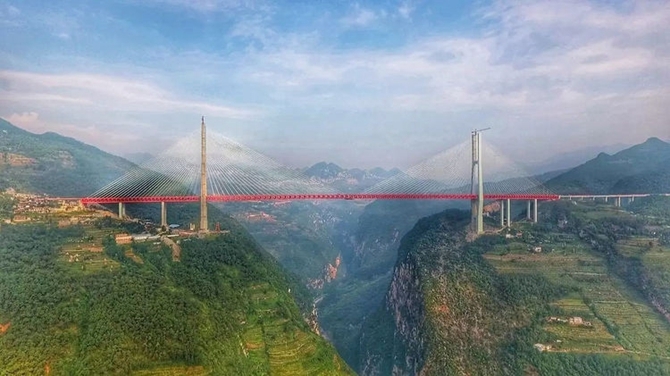 Beipanjiang Bridge, located at the juncture area between southwestern China’s provinces of Yunnan and Guizhou, is known as the world's tallest bridge. 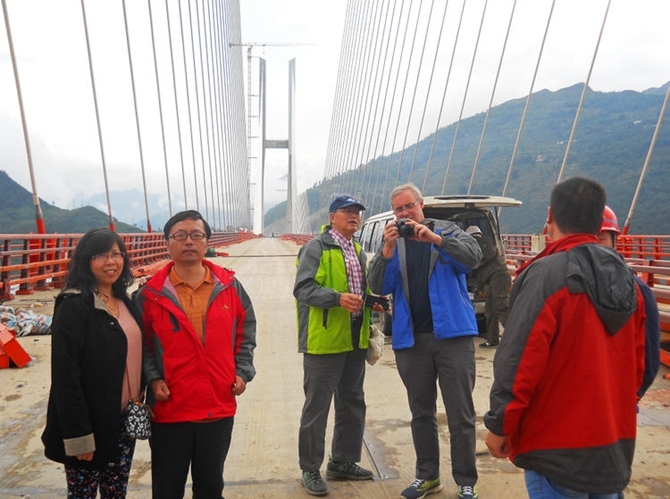 It won the Gustav Lindenthal Medal at the 35th International Bridge Conference on May 24. 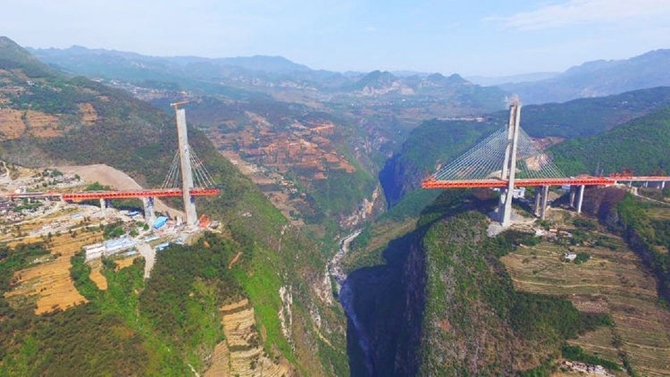 The bridge was put into operation in December 26, 2016. 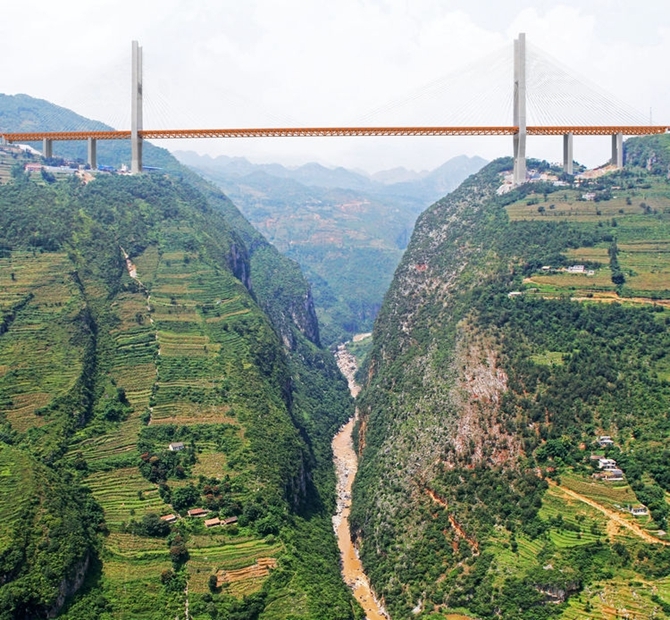 It is 1,341.4 meters long and 200 floors high. 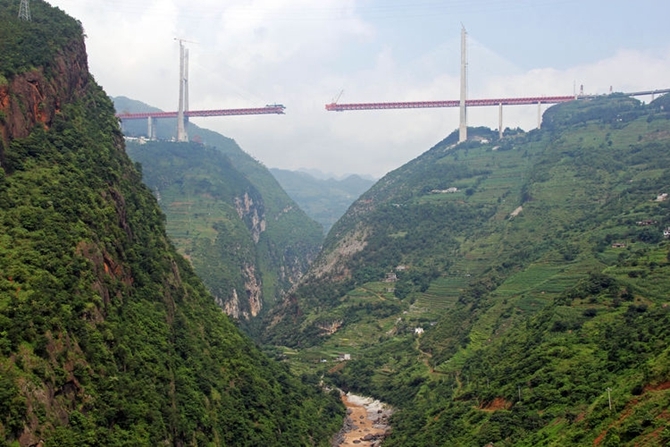 The vertical distance from its floor to the river surface is 565 meters. 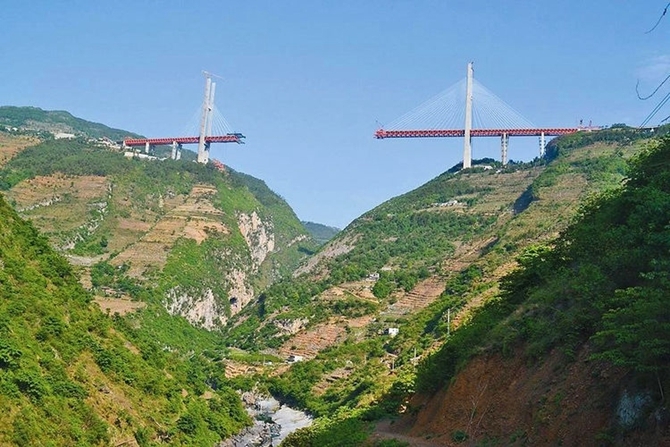 The Gustav Lindenthal Medal is dubbed the "Nobel Prize of bridges”. 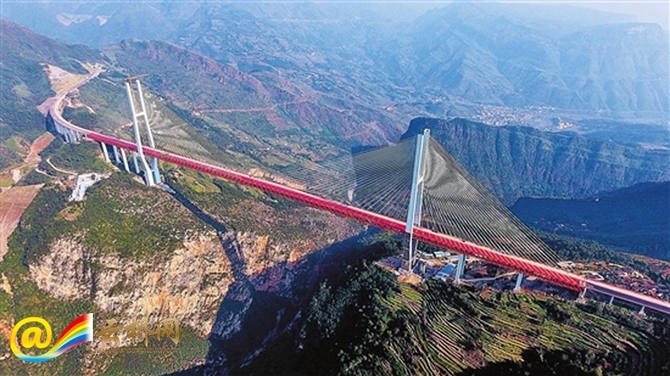 The construction of the bridge has explored more than 10 areas of innovations, resulting in advanced technical achievements with intellectual properties. 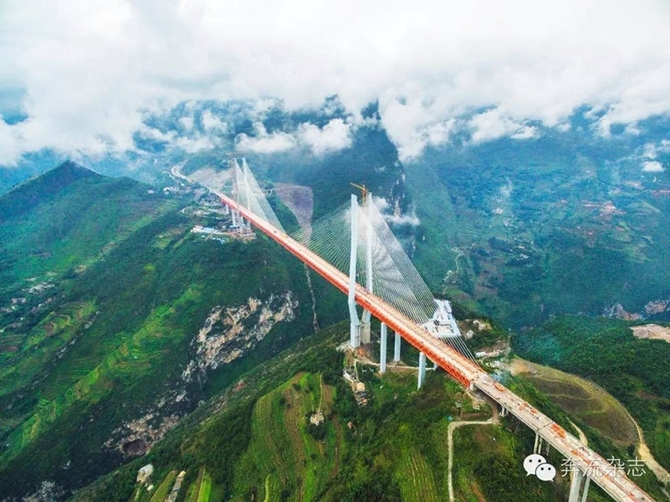 The designers and builders met with many difficulties in complex geological conditions, high mountains and crisscross of valleys and terrible weathers. They applied high-end technologies such as “smart” concrete and cloud computing to ensure a safe and efficient construction.